Until now I couldn't open CorelDRAW files on my iMac. As every designer knows CorelDRAW is discontinued after version 11. 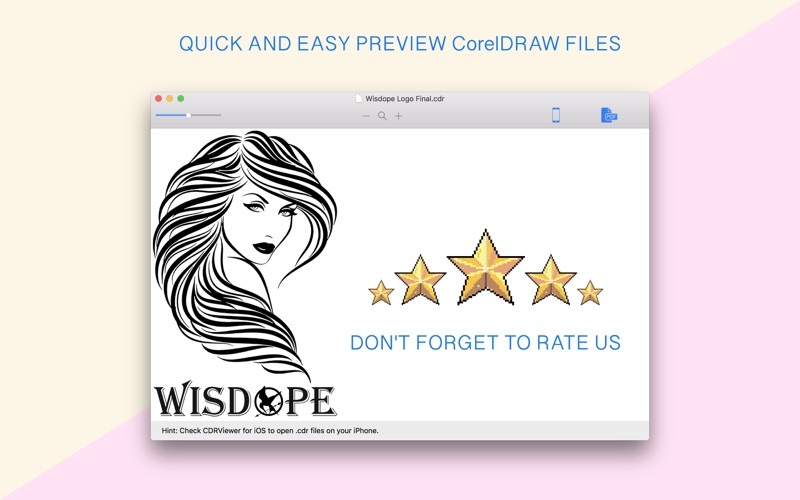 Now We have developed a simple application that opens CorelDRAW files on macOS. 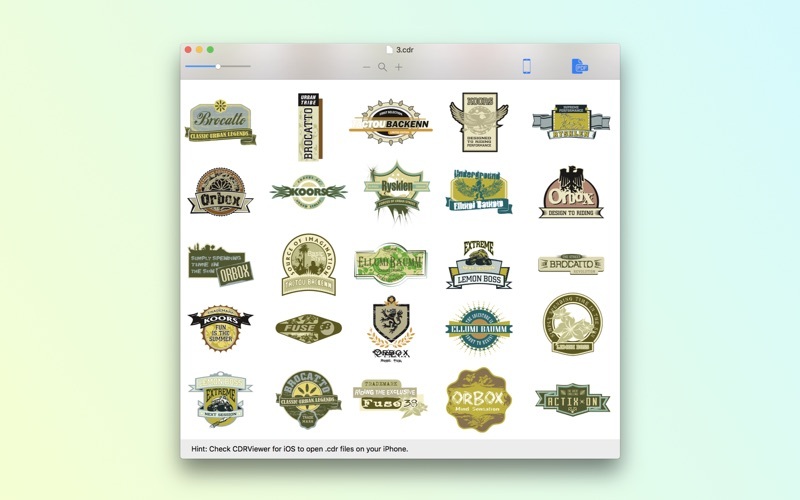 Opening CorelDRAW format files on macOS is possible now. 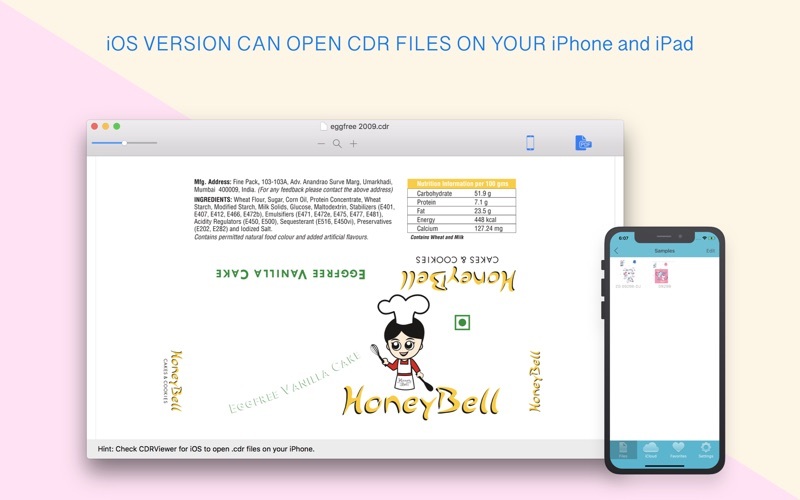 When you install CDRViewer on your macOS, you will be able to open CDR files. - CDRViewer is a freeware and does not contain any form of malware, including but not limited to: spyware, viruses, trojans and backdoors. - CDRViewer uses only libraries that are need for processing, the interface is sample and easy to use. All this provides faster and stable work of the application. - CDRViewer is very simple and easy for use. All you need is to open CDR file, zoom and save in other format if you want. 2. CDRViewer runs on your macOS. 3. Fast file loading function. 5. 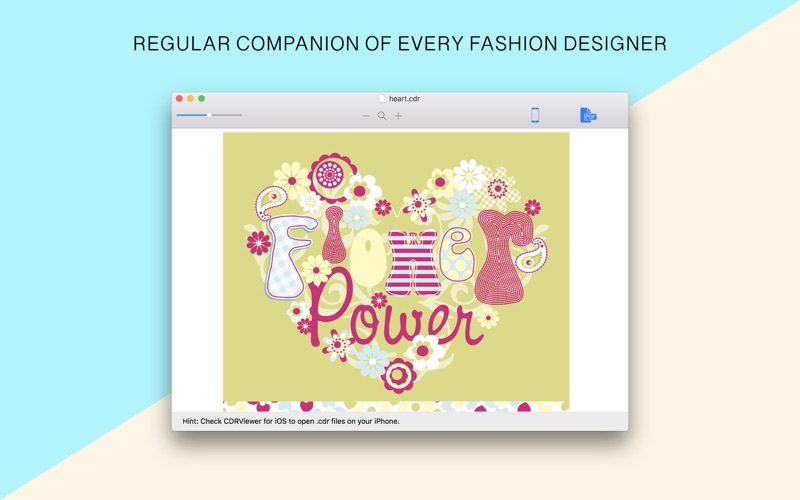 PrintLab Studio (Pro version of CDRViewer) can export your CDR (CorelDRAW) files to Vector PDF file format. (This is a Pro Feature). 7. No file size limitation to read CDR files. 8. Standalone Tool to view CDR Files without CorelDRAW Installation. 9. Provides Zoom In & Out Option. Simple and useful productive tool for designers. PrintLab Studio is Pro Version of CDRViewer. 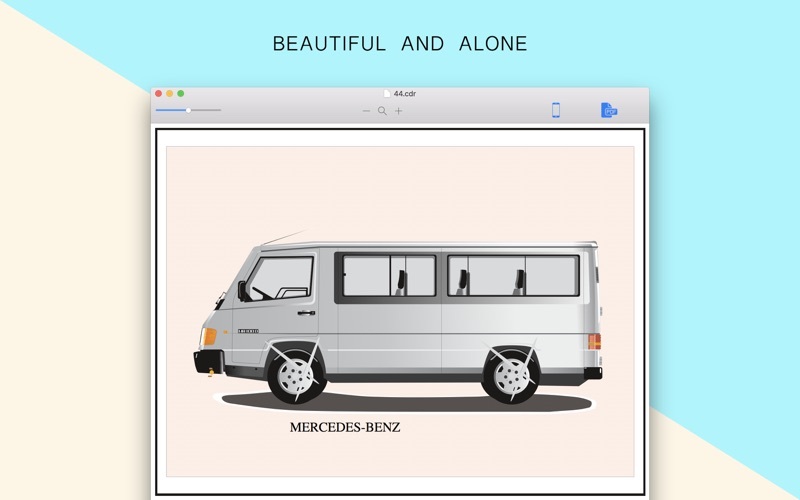 This version offers more features like export opened CDR file to SVG and PDF file formats. If you have any ideas or features, feel free to drop a message regarding your opinions by using our contact us page. - Not installing on systems below 10.8. - Design and interface improvements. - Now available from macOS 10.7. - Added Japanese and Korean Languages support. - Added Zoom In, Zoom Out and Zoom to Fit buttons to the toolbar. - Added shortcuts for zooming functions - (Zoom In =), (Zoom Out -), (Zoom to Fit 0). - Added App Sharing button. - Resolved a bug that CDRViewer's not launching on some macOS version. Also You can always send us your feedback through feedback button. If you need us you can find us at @BluetailTeam on Twitter, at facebook.com/BluetailTeam, or blue-tail.com/support/feedback/, we love hearing from you!